Leeds Community Healthcare NHS Trust (LCH) gained seven new members of its communications team, as students from Leeds West Academy in Rodley spent a day at trust headquarters learning about the role of the team as part of the Children's Commissioner's Takeover Challenge. As part of proceedings, the group blogged about spending the day with LCH. For the first time ever, Leeds West Academy sent seven children to Stockdale House to have an amazing opportunity, taking over the communication team and, to see how people work behinds the scenes of the NHS. Leeds Community Healthcare NHS Trust brought seven children to the work place to explore what happens at in the working world. Many of us were nervous and had different ideas. Some of us thought it would be handing out food and drinks, others thought that we would be shadowing some of the workers and working with the team. However it was different from these ideas. We arrived at Stockdale House around 9:30am, none of us knew what we were going to do. We were met by our first guide, Chloe, and she brought us to the meeting room and we met by Helen and James. We got involved in observing, reviewing and suggesting changes to real service users leaflets, and documents to help the trust to see how younger people react. We were showered by grapes and cookies and by the end we ate them all!! After lunch we interviewed four different workers and saw how they got into the kind of jobs. The first co-worker we spoke to was Amanda and she worked in the review department, she spoke to us about how she helps people, she said “it is very rewarding and never the same so it’s never boring.” One of the other co-workers was, Chris was part of the pharmacy department and he sorted out all medication and drug doses going out. We felt we have made an impact because they presented their ideas and when they were given feedback which helped them a lot, and our points were taken into consideration. Takeover Challenge happens every November and is a national opportunity from the Children's Commissioner for children and young people to 'take over' different aspects of organisations to get involved in making decisions about issues that affect them. I managed to secure a 3 day a week temporary secondment within the Service Improvement team as an Associated Service Improvement Facilitator. I would continue to work in my substantive post as a Podiatrist for the remaining 2 days. My initial thoughts were how would this work in practice? Would I be able to juggle the 2 roles and still manage to learn new skills from the secondment whilst not compromising the work that needed doing as a Lead Podiatrist. Initially this proved tricky as due to recruitment issues there was no backfill for my work. After my 3 day per week Podiatry role was offered as a secondment I found the workload much easier to manage. This involved lots of communication between my Podiatry Team Manager , S.I. mentor and and myself. I think that this close working relationship helped make the secondment possible. 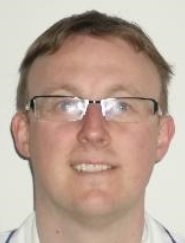 So, what would this secondment mean to me and the Podiatry department? What would I be doing and what skills would I learn and develop? During my secondment I have been exposed to lots of new experiences. This has included being involved in service reviews and facilitating sessions. I have found that I had a lot more to offer than I originally thought I would. Sharing my knowledge and ideas gained as a Podiatrist with other services during their service review has been one positive outcome. I have also been given the opportunity to facilitate sessions which is something that I had never done before. I was worried that I would not have the skills necessary but with support from my mentor and the other members of the Service Improvement team I have facilitated sessions with positive feedback, including a session within the Podiatry service with my colleagues. I have really enjoyed my secondment in particular the contrast in work between a clinical and corporate role. The 2 roles are so different however the vision of both roles is the same, to provide high quality care to our patients. I hope that when my secondment ends I will be able to use my newly learned knowledge and skills, whether this is within my role as a Podiatrist or within a wider context within L.C.H. If anyone is contemplating applying for a secondment role my advice would be to go for it. The new skills you learn, and your knowledge you can share with others may surprise you! What worked well? Excellent communication between Myself, Lisa and Susan supporting each other and ensuring we are ‘on the same page’ in terms of direction, supporting Susan and ourselves and having clarity of purpose. There has been excellent flexibility on all sides, enabling Susan to flex/swap her sessions when needed between both roles. 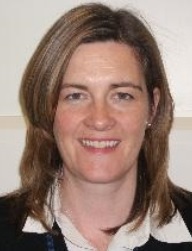 Susan has been able to share best practice in her secondment role with other services and we have been able to use Susan’s new knowledge and skills within Podiatry. The most recent workshop Susan facilitated being an ideal example, which has encouraged and inspired others as well as strengthening relationships. There has been an openness, transparency and honesty on all sides, monitoring progress and how the secondment has developed. We have discussed different options regarding the end of the secondment and if there is a return to Podiatry, how Susan’s skills can be used not only within Podiatry but also across the Trust. What’s hasn’t worked so well? For me, not only in this secondment but in others is that part time secondments are really tricky particularly on the secondee. In Susan’s case, not only did it mean programming changes pulling her away from the clinic she had spent the best part of 20 years in, but also Susan had to try to keep her head in both camps, keeping abreast of all that’s going on which is extremely challenging. This is no reflection on Susan personally, rather this situation has become evident in other part time secondments also. Nonetheless, the Secondment has developed Susan , had a hugely positive effect on the Podiatry Service, and other Services whom Susan has had contact with. Susan has been an agent of positive change! 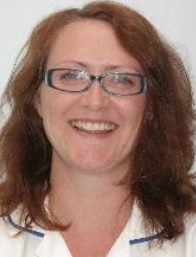 Susan joined our team in September 2014 on secondment from podiatry. As a mentor I remember being slightly apprehensive as it had taken a while to secure the secondment and I was determined that Susan should have the best experience possible. It’s always good to have someone ask you ‘why’ with fresh eyes, its made me think differently. From day one Susan was able to share her knowledge in podiatry with other services which has been received positively and from a service improvement perspective has met the desired outcome of share and spread of improvement knowledge. Susan and I have worked closely with her manager Kenny Brown to ensure that we offer the best support for development for Susan as an individual, podiatry as a service and service improvement across the organisation. This working relationship has been a real strength and point of learning for us all. I have gained knowledge and insight into the pressures and tensions of front line service delivery, Susan has gained improvement knowledge, training and opportunities which she wouldn’t have when working exclusively clinically and Kenny has been reading and role modelling improvements in podiatry with the help of Susan and through a commitment to live the values of LCH. It’s not all been plain sailing it’s fair to say and I think Susan has had to carry the largest burden of challenge in working two jobs ( I know because I’ve been there and it is never easy).The challenges have also brought learning and more questions. Our big question now is how we ensure Susan can use and build on her learning as she returns to full time clinical practice. This is work in progress. With a renewed commitment to fulfilling the 'community level' aspect of the role, Rebekah Besford and Amy Prytherch, two student health visitors, explain their part in a pilot project to embrace 'Building Community Capacity' within our health visiting service. We are two student health visitors coming to the end of our training and have been chosen to play an integral role in Building Community Capacity within two local projects in South Leeds. Health visitors are trained to deliver the Healthy Child Programme. This includes an expectation that health visitors are aware of and actively involved in community development work. This has been a recent challenge for the health visiting profession across the country. With the completion of the Health Visitor Implementation Plan in 2015 and the subsequent increase in numbers of health visitors, there is renewed commitment to fulfilling the ‘Community Level’ aspect of the health visiting role. Leeds Community Healthcare Trust is undertaking a pilot project to embrace ‘Building Community Capacity’ within its health visiting service. Health visitors are seen as bridging and guiding the complex networks of people required to support children, families and communities to achieve the best possible health outcomes. Happy Chinese Families Group- with the aim of providing an opportunity for local Chinese people to meet and socialise as well and healthy eating and cooking. This group meets every Monday 9 – 2.30pm at Beeston Village Community Centre. Global Families Breakfast Club- with the aim of providing a social meeting space and sharing breakfast cooked and prepared by volunteers form different countries. This group meets every Wednesday 9 - 12 at Beeston Village Community Centre. Our role is to play a part in establishing and strengthening the groups. This involves being a part of the volunteer workforce to contribute our knowledge, skills and enthusiasm to help achieve needs led sustainable community development. This will be done in many different ways including: support with funding applications, contributing to enhancing conversational English, highlighting healthier food options and conversations around responsive parenting. For the health visiting service the benefits of the pilot are to gain experience in seeing community development/building community capacity in practice and take our learning, reflections and insights back to the service. We will endeavour to do this through LCH Health visiting facebook page and twitter accounts; feeding back at PIC meetings and writing a final reflective blog on our experience. You can find out more information on our Early Start Service on our website. Staff and service users from our Child and Adolescent Mental Health Service (CAMHS) took part in a number of workshops during August at the West Yorkshire Playhouse to create videos for the new CAMHS website. Below is an email received by the service from the mother of one service user after the workshops sharing her experiences. I just wanted to say thank you for the last two days. C.E. has come home glowing both days, but she was on cloud 9 after yesterday! Thanks for telling Annie you were impressed with C.E.. Annie has helped C.E. so much since she took over her case in November and has worked so hard to build her confidence and self-esteem again. She will be so pleased to know how well it went. I'm sure you gain so much in your job from seeing young people begin to recover from difficult times & would share my happiness in seeing the change in C.E. since CAMHS took her under their wing just over a year ago. She was a very different girl in a very dark place and she has come such a long way in her recovery. Doing something like this has helped so much with her confidence and self-belief and she is starting to realise she has a lot to offer. I can't tell you how good that makes me feel as her mum because it gives me so much hope for the future. This is why C.E. wanted to do the project so much. She wanted to thank CAMHS for helping her and is interested in helping other young people. I knew she would enjoy the video project from what Annie had said, but she has absolutely loved it. She has new friends and is going to join the WYP youth theatre in September. Best of all she is happy that she made such a good impression and I know she is proud that she could share her story and experiences. I think that is amazing - such a fantastic example and a great way to break down the stigma of mental illness. I couldn't be prouder of C.E. Thank you again for a brilliant project. I wanted you to know how grateful I am. Best wishes, Mum of C.E. Click here to find out more about the work of the Child and Adolescent Mental Health Service (CAMHS). Speech and Language Therapist Julie Carr joined LCH a year ago and is passionate about helping children to achieve their communicative potential. In this blog, Julie talks about how this passion for her profession has lead her to be an example to others. I am a speech and language therapist working in the Children’s Speech and Language Therapy department. I have been qualified 4 years and have been working in Leeds Community Healthcare since September 2014. I love working with children and helping them to achieve their communicative potential. During my final year as a student at Newcastle University, the Royal College of Speech and Language Therapists (RCSLT) launched Giving Voice – a campaign to raise awareness of Speech and Language Therapy and demonstrate SLT's unique value, to local and national decision makers. Passionate about the profession and keen to spread the word about our work I eagerly joined the campaign and became an active participant. I was involved in raising awareness of Giving Voice in a range of activities including writing to my local MP (Ian Lavery, Wansbeck, Northumberland) to tell him about the importance and value of Speech and Language Therapy. I was delighted when he said he wanted to meet with me to learn more and this was the start of a number of meetings and a long term working relationship with him. Due to my extensive involvement in Giving Voice over the last 4 years and also my work engaging with a local MP, RCSLT invited me to be a guest speaker at a webinar event in London last month - 'Giving Voice: local heroes make national champions: engaging with MPs'. RCSLT invited me (and two other members) to share best practice examples of positive engagement activities. I was delighted to be asked to speak at this event and I travelled to London early on Friday morning, keen to share my experiences. I have spoken at a number of events about Speech and Language since qualifying but this was my first experience of speaking at a webinar. Not sure what to expect, I arrived slightly apprehensive but the staff at RCSLT quickly put me at ease as they talked through the running order of the day and explained how the equipment worked. 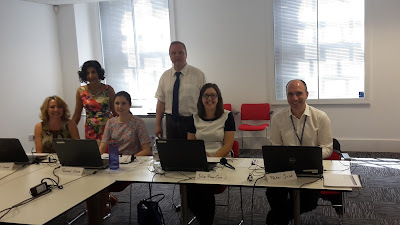 The webinar was live online at 1pm and RCSLT members began logging on 10 minutes before, ready to engage in the session. Derek Munn, Head of Policy and Public Affairs at RCSLT chaired the meeting and welcomed everyone to the event. Peter Just, Public Affairs advisor at RCSLT was the first speaker and explained the importance of engaging with MPs and what RCSLT have been doing and plan to do to continue keeping Speech and Language Therapy on the agenda. Myself and the other two speakers (Rachel Clare, student at UCL, and Janet Cooper SLT manger, Stoke Speaks Out) shared our experiences of raising awareness of Speech and Language Therapy with MPs, to inspire other members to get involved. I enjoyed taking part in the webinar, meeting the other speakers and hearing about their experiences too. It has reignited my passion for raising awareness of the profession and I hope to continue spreading awareness of the valuable work of SLTs in Leeds also. I am hoping we get schools involved in a national joke telling competition ‘Voice Box’ in the autumn term, which is organised by RCSLT and The Communication Trust. If you want to view the webinar, click here. More details on Giving Voice can be found online. What do you know about the trust's Board of Directors? The Trust’s Board Meeting takes place every month with members of the public welcome to attend. But what do the people of Leeds really know about what happens around the table? Three members of staff, who attended their first Board meeting in July, share their experiences. “I wasn't entirely sure what to expect, and to be really honest, I thought it might be a little dull! I imagined there would be a focus on the money we need to save as an organisation, and that I wouldn't understand a lot of the discussion, but it wasn't, and I did. It was interesting, informative and reassuring. The meeting was far from dull because it was about people and the work that we are all doing in the trust. There were familiar things being discussed, like recruitment and retention, capacity and demand, nurse revalidation, pressure in the neighbourhood teams and the impact on us of increased admissions to Leeds Teaching Hospitals Trust. The overriding priority however, was how we best support our greatest asset- our staff, in service of the patients we serve. Being an observer is always interesting, and of particular note was the dynamic between the people around the table. There was seriousness and laughter. The challenge from the Non-Executive Directors for the Senior Management Team was reassuring in terms of being held to account. The challenge was received, not in a defensive way, but as a platform to clarify, share actions and learning, and determine where further work may be required. “I have been to a number of Board meetings outside Leeds Community Healthcare and they are more like a ‘talk shop’ where actually nothing gets agreed or decided. Was this Board meeting going to be different? I went with an open mind! Minutes for the Board Meeting can be found on LCH's website here. On Saturday 27 June, staff from our children's physiotherapy and occupational therapy teams attended a special Fun Day for the families of disabled children at the John Charles Centre for Sport. Here, Julie Cliffe, clinical pathway lead for children's physiotherapy looks back on the day. For a number of years, Leeds has held a well-attended Special Educational Need (SEN) marketplace, to provide families of disabled children with the most up to date information about what is available for their children, and for the last few years EPIC Leeds has hosted a Fun Day in partnership with Breeze and Scope. In response to the financial difficulties that every council and their partner organisations are experiencing, it was agreed this year to host a joint event at the John Charles Centre. The aim was to offer families an opportunity to gain information, provide feedback and have some fun. The day was hosted by Epic and Scope in partnership with various colleagues. Most of the John Charles Centre was booked with both indoor and outdoor facilities and the space was used for fun sessions and informative stalls for all the family. There were inflatables supplied by Breeze, specially adapted bikes and lots more fun activities and information. 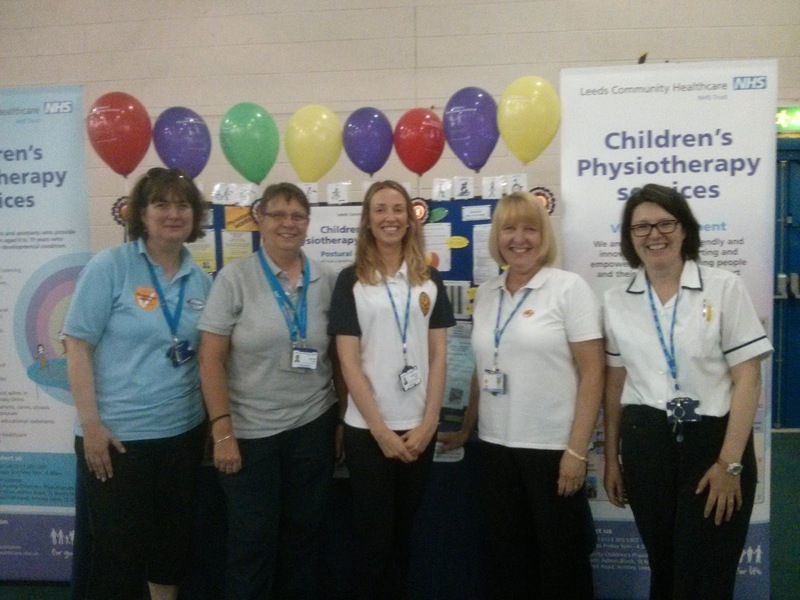 The Children’s Physiotherapy Team and Occupational TherapyTeam set up stalls to provide information on the services they provide within the Integrated Children’s Additional Needs Service (ICAN) for children and families within the Leeds area. The day was a great success with lots of interest in the stalls and also an opportunity for staff concerned to network with other staff, service providers and local organisations.